Please read these Terms of Service ("Terms", "Terms of Service") carefully before using the Balloon mobile application (the "Service") operated by Balloon, Inc. ("us", "we", or "our"). Your access to and use of the Service is conditioned on your acceptance of and compliance with these Terms. These Terms apply to all visitors, users and others who access or use the Service. By accessing or using the Service you agree to be bound by these Terms. If you disagree with any part of the terms then you may not access the Service. ARBITRATION NOTICE: EXCEPT IF YOU OPT-OUT AND EXCEPT FOR CERTAIN TYPES OF DISPUTES DESCRIBED IN THE ARBITRATION SECTION BELOW, YOU AGREE THAT DISPUTES BETWEEN YOU AND BALLOON, INC. WILL BE RESOLVED BY BINDING, INDIVIDUAL ARBITRATION AND YOU WAIVE YOUR RIGHT TO PARTICIPATE IN A CLASS ACTION LAWSUIT OR CLASS-WIDE ARBITRATION. You must be at least 13 years old to create an account or use the Service. Our Service allows you to post, link, store, share and otherwise make available certain information, text, graphics, videos, or other material ("Content"). You are responsible for the Content that you post to the Service, including its legality, reliability, and appropriateness. By posting Content to the Service, you grant us the right and license to use, modify, publicly perform, publicly display, reproduce, and distribute such Content on and through the Service. You retain any and all of your rights to any Content you submit, post or display on or through the Service and you are responsible for protecting those rights. You may not use the Service for any illegal or unauthorized purpose. You agree to comply with all laws, rules and regulations (for example, federal, state, local and provincial) applicable to your use of the Service and your Content (defined below), including but not limited to, copyright laws. You are solely responsible for your conduct and any data, text, files, information, usernames, ~/Content/images, graphics, photos, profiles, audio and video clips, sounds, musical works, works of authorship, applications, links and other content or materials (collectively, "Content") that you submit, post or display on or via the Service. You represent and warrant that: (i) the Content is yours (you own it) or you have the right to use it and grant us the rights and license as provided in these Terms, and (ii) the posting of your Content on or through the Service does not violate the privacy rights, publicity rights, copyrights, contract rights or any other rights of any person. 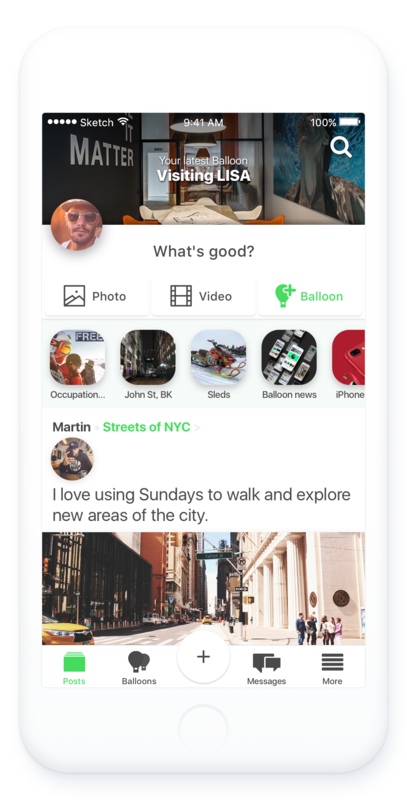 The Service and its original content (excluding Content provided by users), features and functionality are and will remain the exclusive property of Balloon, Inc. and its licensors. The Service is protected by copyright, trademark, and other laws of United States of America and other foreign countries. 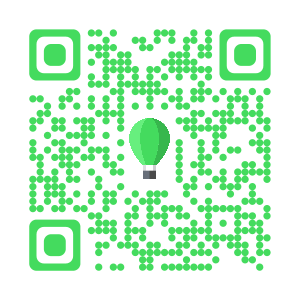 Our trademarks and trade dress may not be used in connection with any product or service without the prior written consent of Balloon, Inc.
Our Service may contain links to third-party web sites or services that are not owned or controlled by Balloon, Inc. Balloon, Inc. has no control over, and assumes no responsibility for, the content, privacy policies, or practices of any third party web sites or services. You further acknowledge and agree that Balloon, Inc. shall not be responsible or liable, directly or indirectly, for any damage or loss caused or alleged to be caused by or in connection with use of or reliance on any such content, goods or services available on or through any such web sites or services. We strongly advise you to read the terms and conditions and privacy policies of any third-party web sites or services that you visit. In no event shall Balloon, Inc., nor its directors, employees, partners, agents, suppliers, or affiliates, be liable for any indirect, incidental, special, consequential or punitive damages, including without limitation, loss of profits, data, use, goodwill, or other intangible losses, resulting from (i) your access to or use of or inability to access or use the Service; (ii) any conduct or content of any third party on the Service; (iii) any content obtained from the Service; and (iv) unauthorized access, use or alteration of your transmissions or content, whether based on warranty, contract, tort (including negligence) or any other legal theory, whether or not we have been informed of the possibility of such damage, and even if a remedy set forth herein is found to have failed of its essential purpose. Your use of the Service is at your sole risk. The Service is provided on an "AS IS" and "AS AVAILABLE" basis. The Service is provided without warranties of any kind, whether express or implied, including, but not limited to, implied warranties of merchantability, fitness for a particular purpose, non-infringement or course of performance. Balloon, Inc. its subsidiaries, affiliates, and its licensors do not warrant that a) the Service will function uninterrupted, secure or available at any particular time or location; b) any errors or defects will be corrected; c) the Service is free of viruses or other harmful components; or d) the results of using the Service will meet your requirements. You agree that any claim you may have arising out of or related to your relationship with Balloon, Inc. must be filed within one year after such claim arose; otherwise, your claim is permanently barred. These Terms shall be governed and construed in accordance with the laws of United States of America, without regard to its conflict of law provisions. Our failure to enforce any right or provision of these Terms will not be considered a waiver of those rights. If any provision of these Terms is held to be invalid or unenforceable by a court, the remaining provisions of these Terms will remain in effect. These Terms constitute the entire agreement between us regarding our Service, and supersede and replace any prior agreements we might have between us regarding the Service.